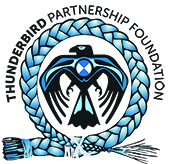 The consultations held to define the framework of the National Native Alcohol and Drug Abuse Program (NNADAP) Renewal identified a set of shared values and principles to guide Thunderbird Partnership Foundation implementation work. These values inform the style of work, individual and organizational interactions and the overall direction taken by the national and regional working groups and their individual members. They also provide the moral base for the work of management and committees guiding direct delivery, the workers providing the services, and the clients participating in our programs. The Renewal of the National Native Alcohol and Drug Abuse Program (NNADAP) will be guided by principles which are rooted in shared values. Clients First – The interest of clients must always be paramount, with all other considerations being secondary. Client Initiative Must Be Expected and Respected – Before beginning any program of change, a person must be committed to taking responsibility for his or her own healing, sobriety and healthy lifestyle choice. Clients should not be blamed for their problems, but encouraged and supported in their efforts to take primary responsibility for their own solutions. Harm Reduction Support Services Are Sometimes Necessary – Some substance abuse clients have experienced so much damage to their physical and mental health that intervention goals must initially be very modest. At times, harm reduction is the first, most important and realistic course of action to be taken. Accountability and Transparency – It is fundamental that both management organizations overseeing the renewal of NNADAP and service providers themselves carry out their duties in a way that reflects accountability and transparency. Communication – The rationale, process and outcomes of the Renewal must be communicated to all stakeholders. Active, continuous communication of relevant information and opinions from service workers, researchers and clients are essential. Working Through Partnerships – The Renewal strategy will draw its strength from vigorous working partnerships with Aboriginal and Inuit stakeholders and institutions and with the Federal Government. Capacity-Building Is an Ongoing Need – Program methodologies and human resource development must be continuously and objectively evaluated, adapted, and when necessary, modified, changed or upgraded to reflect the needs of clients. A System Sensitive to and Respectful of Both Traditional and Contemporary Approaches to Healing – As determined by clients, families and communities, both traditional and contemporary approaches to healing will be respected and valued. Demonstrably Effective Prevention and Intervention Methodologies – Substance abuse and addictions service methodologies should be demonstrably effective, as indicated by scientific, evaluative research. Services Delivered by Knowledgeable, Skilled Workers – Substance abuse and addictions services should be delivered by accredited, highly skilled people dedicated to empowering community members, by sharing prevention skills, as well as ideas about healing and sobriety with substance abusers and addicts. Service Quality Supported by Sophisticated Information Management – First Nations and Inuit substance abuse and addictions program personnel should have access to relevant, comprehensive and accurate information that can inform a range of decisions. Relevant information should be available to support choices regarding healing methods or secondary support needs of clients with distinctive cultural or linguistic needs or with mental or physical challenges.